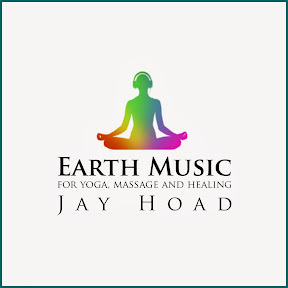 “Earth Music for Yoga, Massage and Healing” is the very first album in a unique series of forthcoming Earth Music International projects. The concept of this debut album came about when musician Jay Hoad and Dru Yoga instructor Pamela Gibson (Yoga Pam) met in 2012 after hearing of each other's unique and contrasting practices. The vision of a yoga class with live music extemporaneously composed for the session was born. The class was hosted shortly after… it sold out and was a huge success. From there, the concept to record the audio on this CD with a “real time” yoga class being taught at the same time was conceptualized. We chose to record it like this to capture the essence of the improvised compositions as they developed to suit the “real time” live yoga class instruction… and that we did! All tracks on this CD were recorded live in a professional sound studio simultaneously and in conjunction with a yoga class taught by Pamela. No instructional audio from the yoga class is included on the CD, only music. Our albums are distributed by Walkaboutfish Records, an environmentally friendly joint Australian/USA record label and management company formed in 2006 to promote independent original artists around the globe. Walkaboutfish Records is also the management company for Jay Hoad and distributes his debut LP "Warmth In The White" and follow-up LPs "Stories For The Soul" and "Home Is Where The Heart Is"